Mark Pui is a veteran investor focused on public and private investments in equities and other instruments across a wide range of geographic regions. Pui is known in the investment arena as one of the early investors in blockchain space. Mark Pui started his career in corporate finance and management consulting where he gained invaluable strategic, financial and operational perspective. This early experience helps Pui to help companies accomplish more. 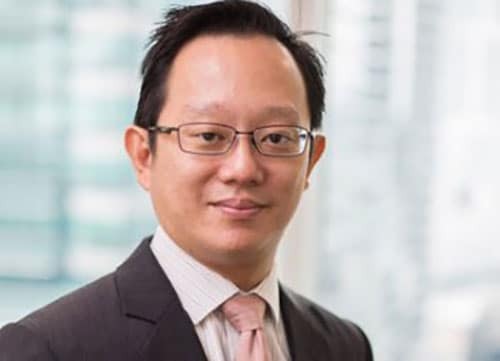 Mark Pui started his career in corporate finance and management consulting where he gained invaluable strategic, financial and operational perspective. This early experience helps Pui to help companies accomplish more. His early roles include working as a consultant at Arthur Andersen Business Consulting before accepting a position as a senior consultant at KPMG. Pui then joined PricewaterhouseCoopers as executive director, a role he held for over 14 years. From there on he started focusing on investments and held several advisory roles. After completing his basic education in Singapore in 1994, Pui travelled to London, the United Kingdom where he achieved a distinction in securities markets from the summer school programme at the London School of Economics and Political Science. He continued his studies in the United Kingdom where he achieved a Bachelor of Arts degree in economics from the University of Cambridge, a Master of Science degree in economics for development from the University of Oxford and a Master of Science degree in public policy from the University College London. Known as a global investor, Pui has spent time in areas including the United States, Malaysia, United Kingdom, Australia, Vietnam, Singapore, Slovenia, China and Liechtenstein. He is fluent in English and Malay. AppOnboard – A Los Angeles and San Francisco-based mobile software company that’s developed technology that allows users to experience a demo of an app without downloading it. Pui invested in AppOnboard in 2017 during its seed round. Bex – Located in Vancouver, Bex provides a platform and partnerships with groups around the world that operate the platform, effectively creating a Bitcoin exchange in a box. Pui was involved in the seed round of investment in Bex in 2014. Apptopia – A Boston-based mobile data analytics company that provides accurate intelligence on the international app ecosystem. Pui invested in Apptopia in 2016 via AngelList. Ox – A San Francisco-based technology company that has developed a protocol for a decentralised exchange. Pui was involved in the seed investment round in 2017. Androminium – Located in San Francisco, Androminium is a software development company that created a platform that transforms a smartphone into a desktop computer. Pui was one of the company’s seed investors in 2016. Adarza BioSystems – Based in St. Louis, Adarza is a biotechnology company pioneering a label-free platform technology which enables the concurrent detection of hundreds of analytes in a single drop of fluid. Pui invested in Adarza in 2017. Techwire Asia reported on the necessity of digital transformation in Malaysia’s food and beverage industry in 2018. Digital technology and disruptive innovations were discussed and Mark Pui’s opinion of this evolution was featured in the article.